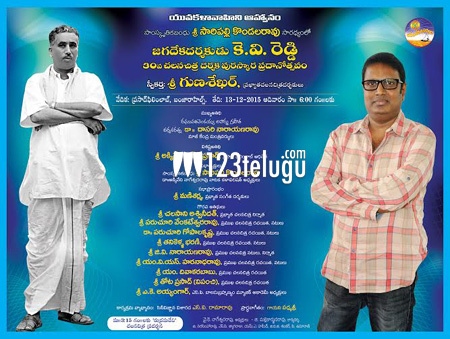 Popular director and producer Gunasekhar has been chosen for the prestigious KV Reddy memorial award. The award was instituted by the Yuva Kalavahini trust. Senior filmmaker Dasari Narayana Rao will be giving away the award to Gunasekhar on the occasion of the trust’s 30th anniversary. The presentation ceremony will take place at the Prasad Labs in Hyderabad on December 13. Gunasekhar has been awarded for his contribution to Telugu Cinema over several years. The director’s latest release was Anushka starrer historical 3D film, Rudhramadevi. Apart from Dasari, senior film personalities like Ramesh Prasad, Saripalli Kondalarao, Ashwini Dutt, Paruchuri Brothers, Tanikella Bharani etc will grace the ceremony.